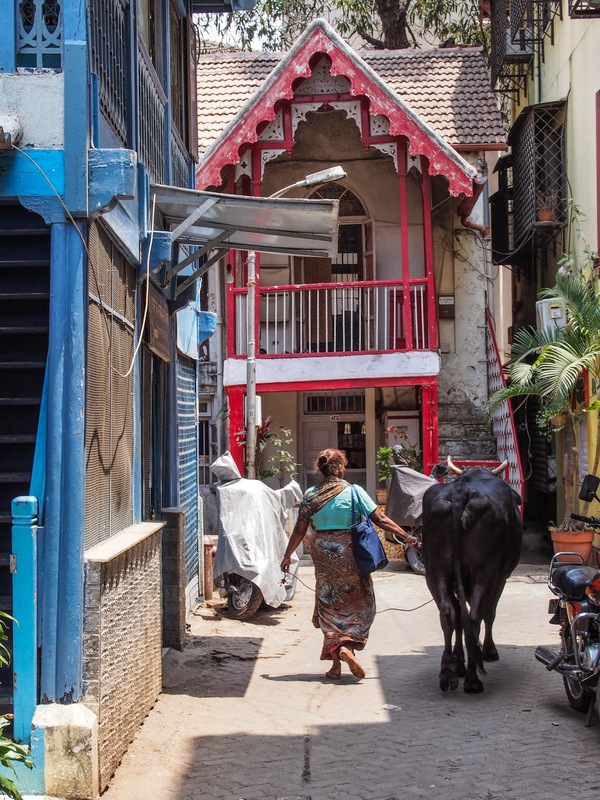 A traditional neighbourhood of wooden houses smack in the middle of South Bombay. 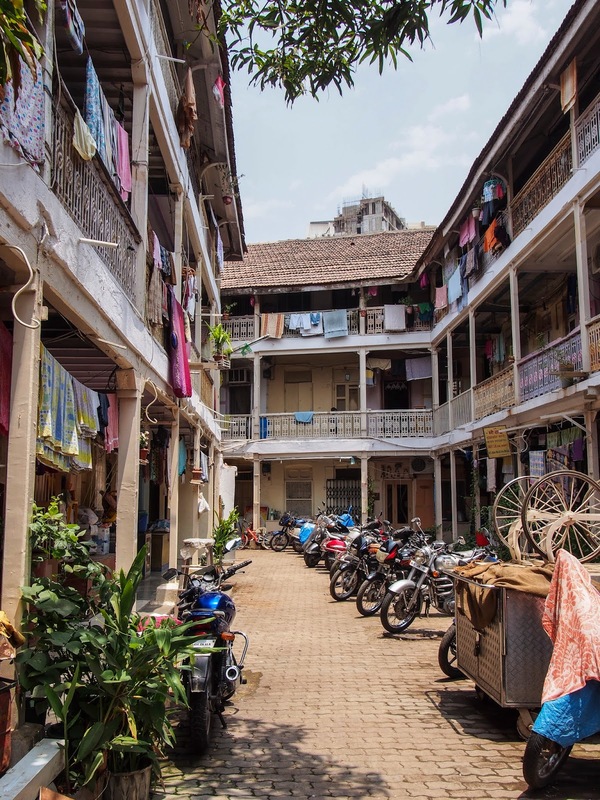 Khotachiwadi shows what Bombay was like before concrete and skyscrapers too over. Right in the heart of South Bombay, just behind Girgaon Chowpatty ('Chowpatty Beach'). Map. 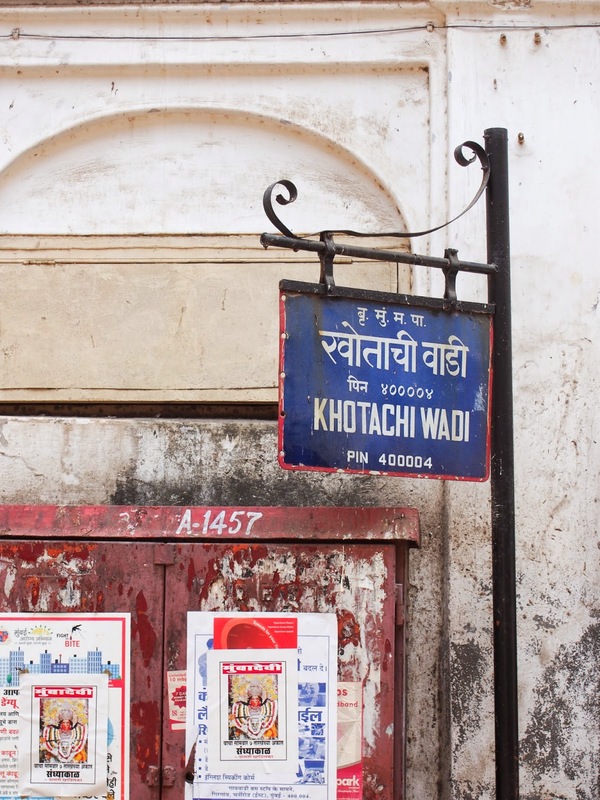 KHOTACHIWADI IS A 'heritage village' in the middle of South Bombay's urban jungle. Most of the houses are traditional, low-rise bungalows made of wood, with large open verandahs. Khotachiwadi is clearly signposted, off of JSS Rd in Girgaon. 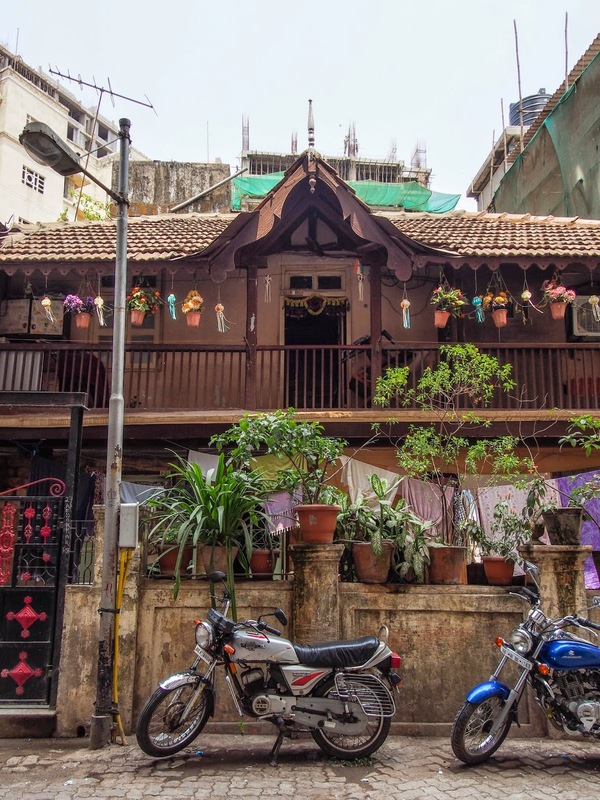 Once upon a time, there were many such houses and neighbourhoods in Bombay. Rising house prices and overcrowding have led to these places disappearing as skyscrapers take their place. The 'village' is a small maze of Portuguese-style bungalows, originally home to a Christian community. 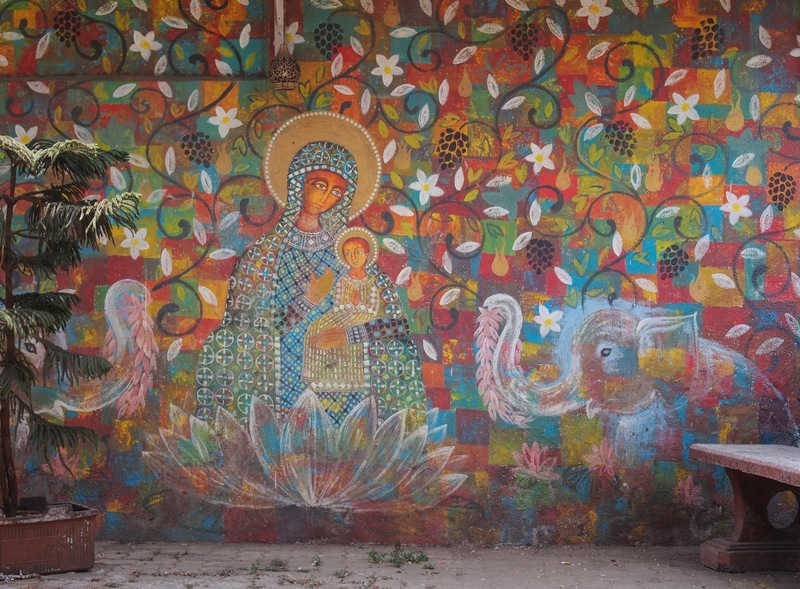 The large mural of Maria is testament to the neighbourhood's Christian heritage. Maria is given an Indian make-over with lots of colour and two elephants. The number of traditional bungalows left is said to be 28, of the original 65. 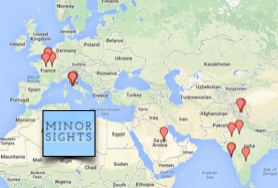 Come visit quickly, before the number dwindles further! 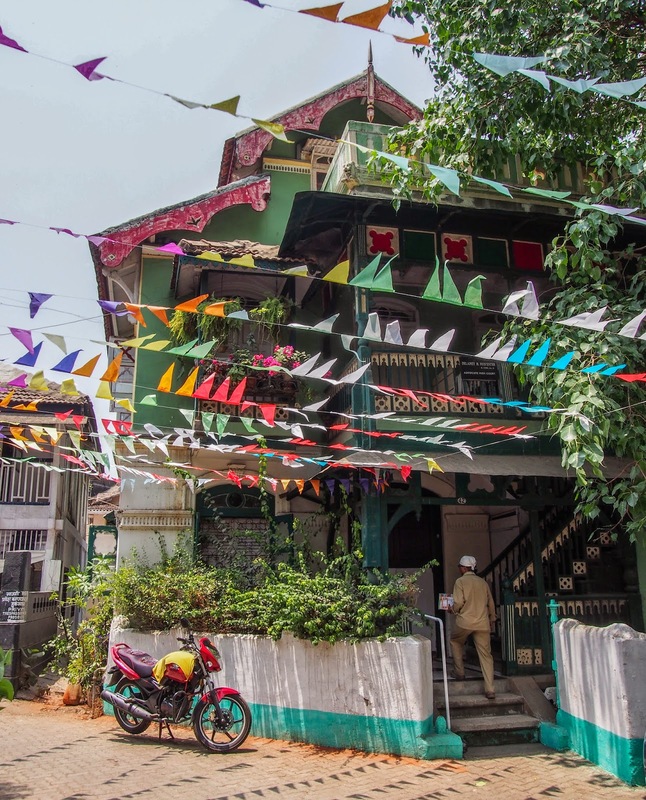 If you like exploring Khotachiwadi, you should also check out my post on Bandra's bungalows. 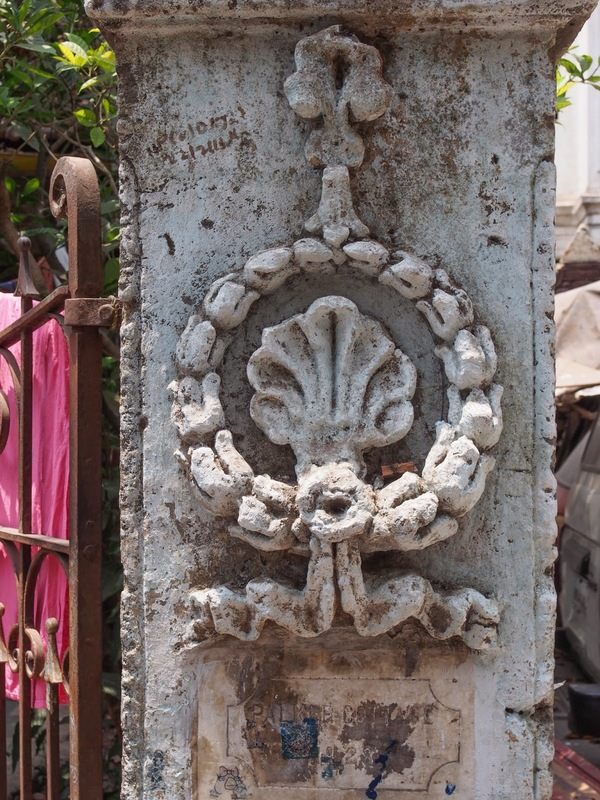 Detail on one of the posts of a gated compound. Enjoying a bit of breeze on the verandah. Salesmen with carts navigate the narrow lanes. And it wouldn't be India without a cow! Right next door, with the entrance on JSS Rd, just west of Khotachiwadi, is another small heritage neighbourhood. 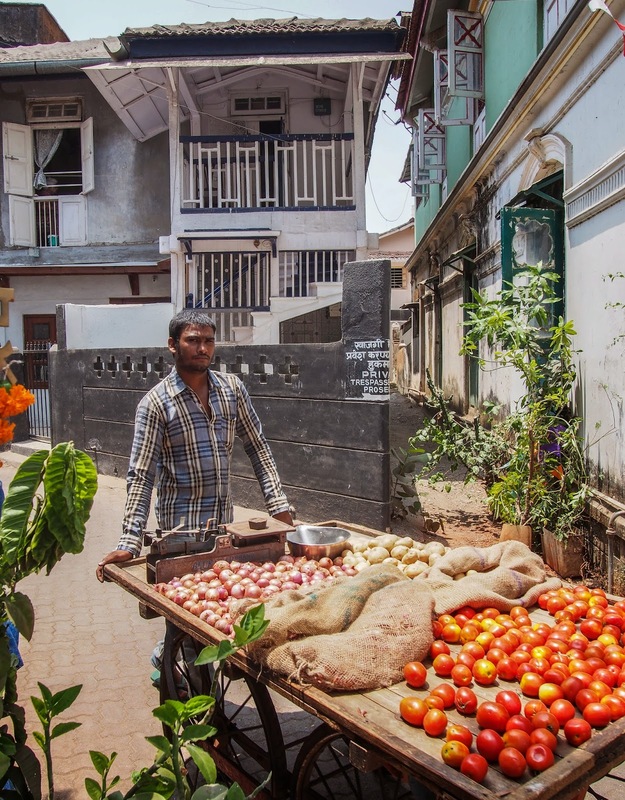 This consists of a narrow lane of colourful Victorian tenements (known as a chawl). Again, shielded from the main road, this has a friendly, village-like atmosphere. Kids play on the street while craftsmen ply their trade from the ground floor shops. There is no through traffic, so it's quiet and peaceful. The community consists of one narrow dead-end lane with wooden tenements on each side. 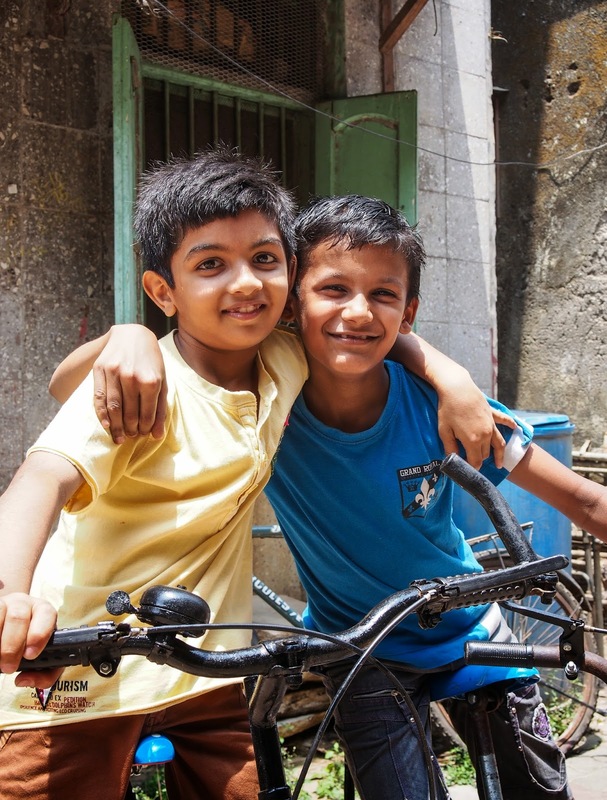 Best buddies playing on the streets- it's rare to have a street where you can ride your bike in Bombay! Fabulous ! 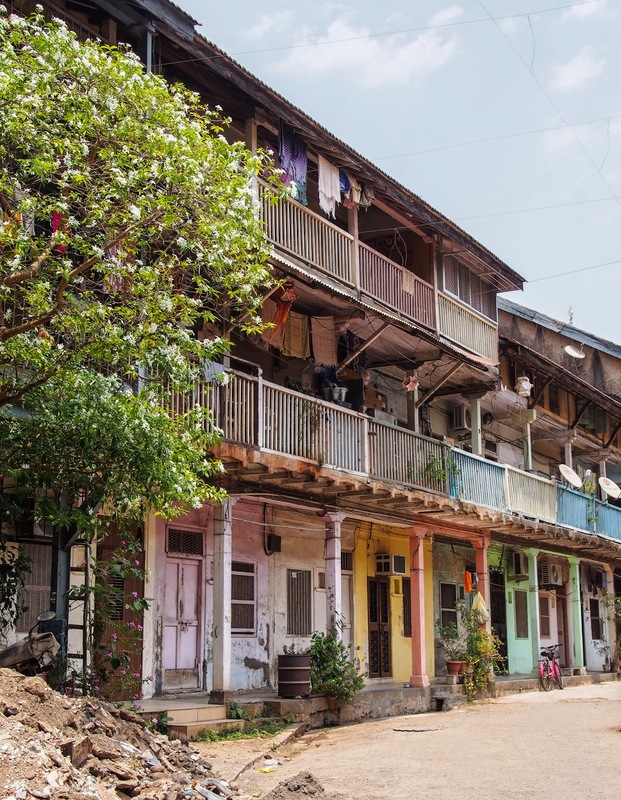 Always wondered what a chawl looked like ! Hope it and the wooden village are heritage listed and last forever more !